Michael Salitore of Molalla River School District (MRSD) in Molalla, Oregon, moved into his role as the Director of Special Education with a strong background in the clinical side of special education. His experience with instructional design and goal writing for students with special needs prior to moving into his new role was somewhat limited and largely consultative. His decision to partner with Goalbook was a part of his effort to establish a strong culture of rigorous instructional design within the special education department. 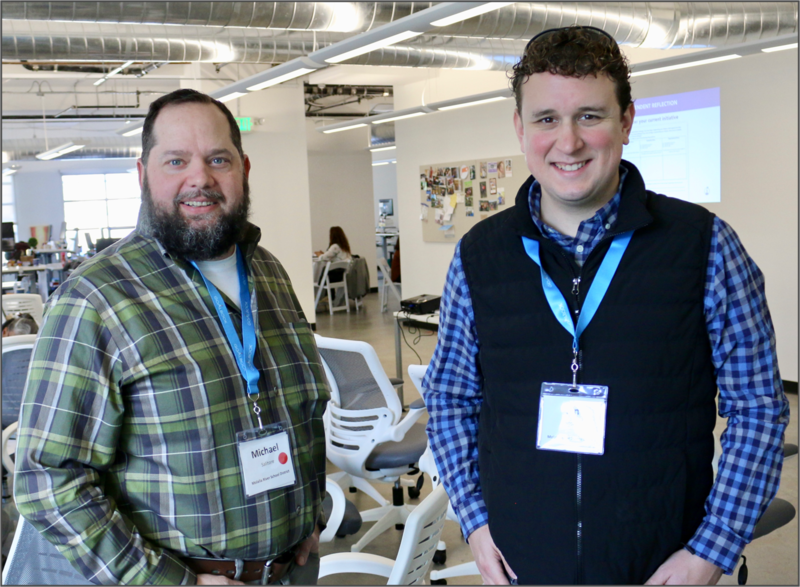 Michael Salitore, Special Education Director, and Ian Molay, Teacher on Special Assignment, from Molalla River School District at Goalbook’s annual Leadership Design Institute. In order to ensure that he could support teachers with the creation of high-quality learning plans, he spent much of his first year observing and documenting the practices of specialists and related service providers as they created and implemented individualized education plans. What he found was there was a lot of inconsistency with the effective implementation of strategies toward reaching individual student goals. Most specialists were knowledgeable and strong with certain aspects of the process but lacking knowledge in other areas of the process. 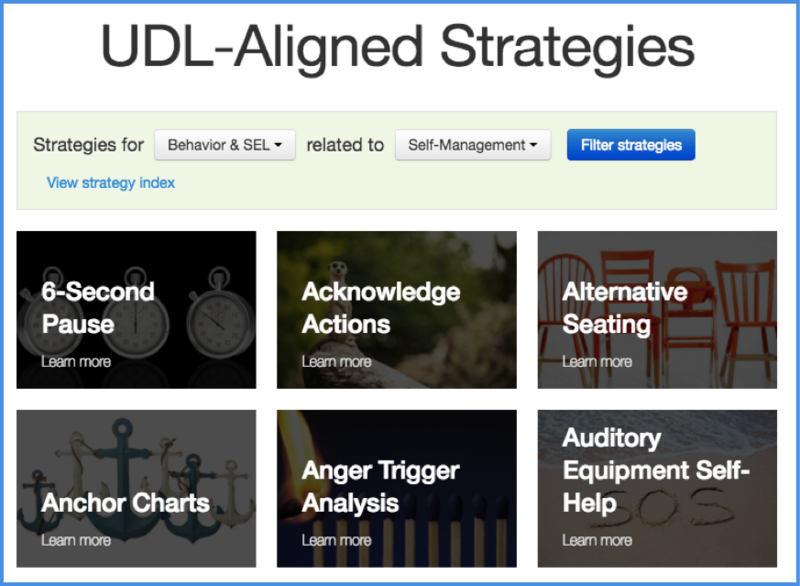 In addition to correcting a misalignment in practices around individualized education programs, Michael also wanted to lead the special education department in an effective implementation of a district-wide initiative of implementing UDL strategies in instruction. With a combination of Goalbook and Ian Molay, Teacher on Special Assignment at MRSD, Michael has been able to push the needle in both of those focus areas. Increased the alignment of educators on special education teams, which resulted in an increase of the overall instructional efficacy of the special education department. Helped teachers creatively approach learning barriers thus helping ALL students become expert learners through the effective implementation of UDL practices. When Michael decided to partner with Goalbook, he had set out to do more than simply improve learning goals. His long-term goal was connected to a more specific challenge: The learning plans at MRSD were not addressing special education students in a manner that prioritized their individual needs. In addition to improving the specificity and language of goals, Michael and Ian saw a need for more targeted instructional plans that outlined incremental learning targets leading to mastery. 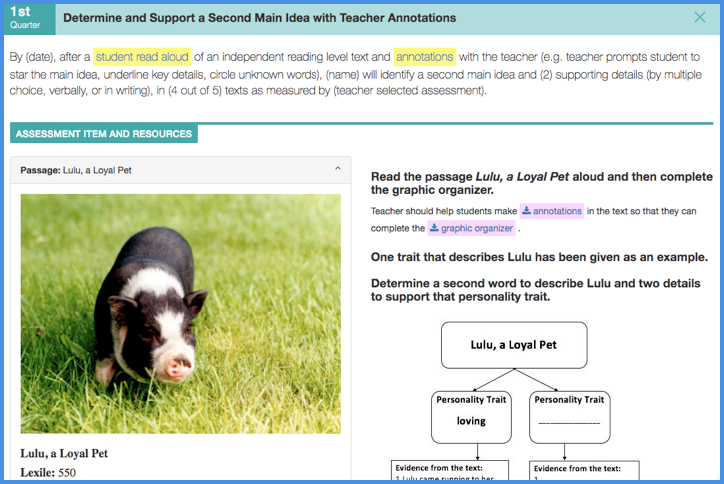 After familiarizing the learning specialists and related services providers with how to use Goalbook Toolkit to draft high-quality goals, they took it a step further and started using the Anchor Page feature in Toolkit to design individualized long-term learning plans. Anchor Pages help educators set long-term learning targets for the most foundational and critical grade-level knowledge and skills. They use students’ present levels as the starting point and provide intermediary learning objectives that lead to the end goal. All of the resources and objectives are grounded in research and Universal Design for Learning. 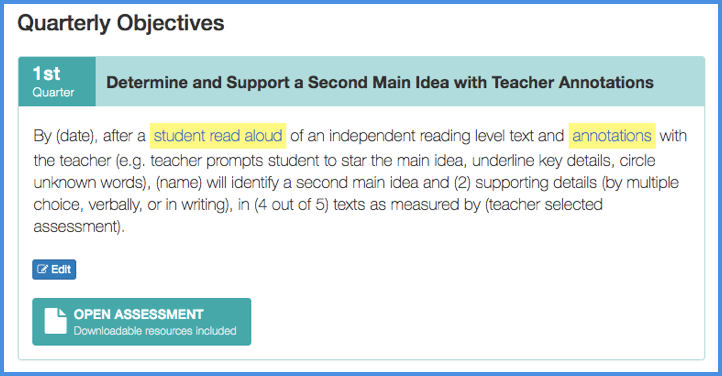 Anchor Pages also provide specialists and related service providers with teaching materials, instructional supports, and assessments so that they can immediately take action towards implementing research-based instruction and monitoring student progress. As a mentor for first-year specialists at MRSD, Ian Molay has prioritized the implementation of UDL strategies in a highly specific manner. He’s found that, currently, the most critical aspect of designing instruction that optimizes the learning experiences of individual students is identifying and addressing the potential barriers that may impede their access to the material. So guiding new teachers in the process of prioritizing those barriers as they design instruction has become a focus for Ian as he carries out the district-wide mission of adopting UDL practices. 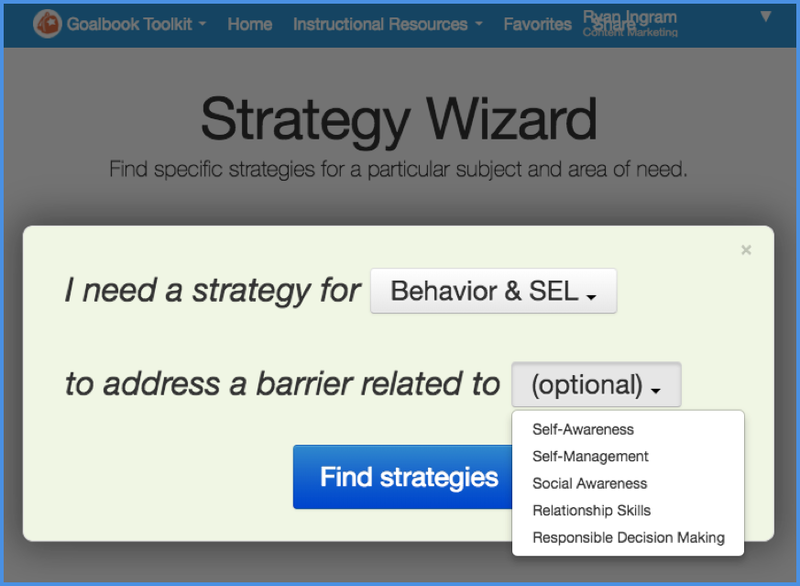 The Strategy Wizard in Goalbook Toolkit supports the subject areas of Reading, Writing, Listening, Speaking, Math, and Behavior & SEL. It has proven to be especially helpful to the educators at MRSD in the area of Behavior & SEL. Goalbook’s role in the implementation of the UDL framework is to provide ongoing professional learning through online or in-person training as well as consultative support around how the tool supports the UDL focus that a partner has prioritized. MRSD’s focus on identifying and addressing barriers was one that was also addressed using the Strategy Wizard in Goalbook Toolkit. Molalla River School District has embraced the partnership with Goalbook to make noticeable changes that they believe will have a lasting impact on their students’ lives as well as the competency of their teachers.